In 2011, the old warehouse that houses Il Buco was just a location with a great potential. A full basement, elevator, big glass window panes opening to the street and a rustic atmosphere. Originating as an import of clean Italian charcuteri and wine, the potential of this little ‘cave’ quickly materialized. Today, Il Buco has become an Islands Brygge staple. Our guests come here all day to enjoy breakfast, sourdough bread and pastry from our inhouse bakery. For lunch we offer homemade pasta dishes and sandwiches or all day snacks, tagliere, artisan beer and drinks. Everything on our menu is made with organic produce from passionate sustainable farms and suppliers. It’s love from soil to plate. 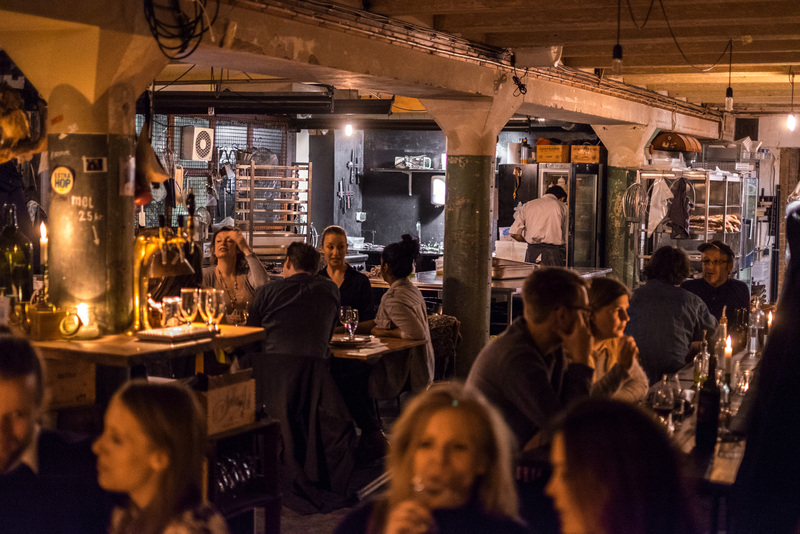 Since our humble beginnings, Il Buco has expanded into the neighboring facilities and also offers one of Copenhagen’s largest selections of clean and natural Italian wines. In Refshaleøen, we have the seaside café and restaurant, La Banchina and in Jægersborggade 25 in Nørrebro, we run the Italian speciality shop and deli La Dispensa.